Born between March 21 and April 19, is the first sign of the zodiac, Aries that relates to the first day of spring. Aries are popularly perceived as bright-eyed children who exhibit innate confidence, courage and independence; Aries traits which make them naturally gravitate toward assuming leadership roles. It probably has to do with Aries’ planetary symbol which is the Ram; a determined fighter and a powerful adversary associated with Force, Power, Energy, Drive, Protection, Virility and Fearlessness. Aries is one of only four (4) astrological signs which carry a Cardinal Quality, the others being Cancer, Libra and Capricorn. 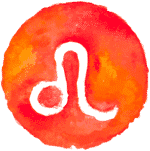 A Cardinal Quality is an initiator of the zodiac which means these individuals like to get things going further characterizing the typical Aries personality as one who is active, driven and ambitious. Because Mars, the God of War is their ruler, Aries are unafraid to go into battle. The Element associated with Aries is Fire and those born under this sign are deemed to be enthusiastic, outgoing and generally adventurous with the burning desire to win play and win in life.Aries people are high spirited and highly active people. They are social and light-hearted people. They are also attractive human beings. Read more about Aries Traits. Born between April 20 and May 20, Taurus is the second sign of the zodiac. It is the first of the Earth sign. They are popularly perceived as stubborn, a Taurus trait associated with their planetary symbol Bull. Many believe Taurus to be the most dependable Sign in the whole Zodiac, simply because Taurus hates the idea of change. Taurus people like to use traditional methods thus they can show rigidity if anyone asks them to adapt to new things. This attribute makes Taurus quite headstrong and truly difficult to convince to change their minds. Taurus is a negative sign and they tend to be introverts, responsible, serious and more likely to be pessimistic. Ruled by Venus, Taurus are lovers of everything that is fine and beautiful and surround themselves with material gains. They are loyal, thrifty, kindhearted, and they possess great personal charm, good looks, and a lovely speaking voice. 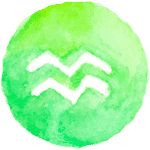 An Earth sign, Taurus tend to respond to the world by examining the worth of each possible response, rather than through physical action, intellect, or emotion. They tend to prefer to plan things down to the last detail and to avoid unnecessary risks. Born between May 21 and June 20, Gemini is the third sign of the zodiac, the sign of ideas and information. Gemini’s planetary symbol “the twins” is the first human sign and known as the sign of language. Like twins, Geminis often have a dual nature and are skilled at seeing both sides of a problem, but they may also be fickle and restless. Gemini is ruled by the Planet Mercury. In ancient Roman mythology, Mercury (and his Greek equivalent, Hermes) was the Messenger God. They are highly skilled communicators because words come naturally to them. The Element associated with Gemini is Air. 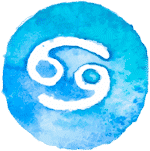 Just like the other Air signs, they are friendly, sociable, and outgoing. Gemini are really energetic and love meeting new and interesting people.Things are never boring when a Gemini is on the scene. They are very restless and constantly want to be doing something. They get bored easily because they long for mental stimulation and variety. Gemini people are clever and logically rational. They are also high-spirited and jolly people. The great strength of the Gemini-born is in their intellectual and conversational skills. They can analyze difficult ideas and communicate them clearly to others. Their many interests put them among the most fascinating characters of the Zodiac. Born between June 21 and July 22 Cancer is the fourth zodiac sign. This is the first Water sign of the zodiac, feminine, cardinal and symbolized by the crab. Ruled by the Moon, Cancers are prone to mood swings related to the actual phases of the Moon. It’s not surprising that the Moon has the same effect on ocean tides and on Cancer’s emotions, instincts and habits. Wistful, shy, and mysterious, when unhappy they prefer to escaping reality by retreating to their own shell. The Element associated with Cancer is Water. Water Signs are emotional: they tend to respond to the world through emotion, rather than physical action, practicality, or intellect. Cancers are very intuitive, and emotion is a key part of their lives. Their personality can be quite complicated, but deep inside they are conservative and home-loving people. In general, Cancers are the first people to express emotion in any given situation — the first to laugh and the first to tears. In this way, Cancer demonstrates the Cardinal Quality assigned to it. Cancer people are emotional and sensitive too. They have better understandability and ability to quickly adapt the environments. Born between July 23 and August 22 is the fifth sign of the zodiac, Leo. Known as the King and Queen of the Zodiac due to their planetary symbol, Lion. The Lion is the King of Beasts, and Leos enjoy being treated as the kings and queens of the Zodiac. With the Sun as their planetary ruler, they possess great charisma and sunny and shiny personality. With the Sun at the center of the solar system, it’s no surprise that Leos love to be the center of attention. One of the most powerful sign of the zodiac, they have the innate ability to light up a place with their creativity. If you notice a flamboyant person who is the center of attention, laughing and entertaining other people at a gathering, he or she is probably a Leo. They tend to be opinionated, but they have a strong ability to see their projects through to the end. In this way, Leo embodies the Fixed Quality assigned to it. The Element associated with Leo is Fire. Fire Signs are physical: they tend to respond to the world through action, rather than practicality, intellect, or emotion. Leos jump headfirst into life, without worrying whether their latest goal is realistic or practical. Born between August 23 and September 22 is the sixth sign of the zodiac, Virgo. A feminine, Negative, Mutable, Earth sign. Their planetary symbol is the Virgin. Virgos reflect the qualities of a virgin rather than the definition: they tend to be shy and somewhat nervous, and they may be undemonstrative or repressed. Virgos are very good at understanding what people are saying between the lines, thanks to the ruler, the winged Messenger of the Gods, Mercury. Astrologically known as the “sign of service”. Of all the zodiac signs Virgos are the most selfless. Their deep sense of the humane leads them to caregiving like no other, while their methodical approach to life ensures that nothing is missed. They are practical and logical, and they’re skilled at seeing all sides of a situation. Virgo embodies the Mutable Quality assigned to it in this way. Virgos are good business people because of their methodical attention to detail and their ability to stick with a practical and organized routine. The Element associated with Virgo is Earth. Earth Signs are practical: they tend to respond to the world by examining the worth of each possible response, rather than through physical action, intellect, or emotion. Born between September 23 and October 22 is the seventh sign of the zodiac, Libra. Masculine, Cardinal, positive, Air sign. Libra is the only inanimate sign of the zodiac, all the others representing either humans or animals. The symbol associated with your sign is the scales of balance, representing the balance that you continually seek in your elf and your life. The sign of Libra is symbolized by ‘balance’ and they are often found balancing between two sides in difficult situations. They are also very level headed and therefore can be sought after for practical solutions. Libra embodies the Cardinal Quality assigned to it in this manner. Libra is ruled by the Planet Venus that’s why they strong artistic tendencies and a refined sense of style. The Element associated with Libra is Air. Air Signs are intellectual: they tend to respond to the world through intellect, rather than physical action, practicality, or emotion. The great strength of the Libra-born is in their love for peace and harmony. Libra people always try to maintain balance with their environment. They always try to make peace without hurting anyone.Their skill at seeing all sides of a situation makes them one of the most just characters of the Zodiac. Born between October 24 and November 22 is the eighth sign of the zodiac, Scorpio. A feminine, fixed, negative, water sign with two planetary rulers Mars, God of war and Pluto, Lord of the Underworld. The Scorpio individual is an intense, intuitive, complex, determined soul who gives life his all, for better or worse. The Scorpion symbolizes Scorpio. Much like the Scorpion would rather kill itself than be killed, those born under this sign are in ultimate control of their destiny. They tend to be stubborn, refusing to give up when others have long since given up and getting things done when no one else thought it possible. They are strong individuals and they never back down. This is how Scorpio demonstrate the Fixed Quality assigned to it. Scorpio is ruled by the Planets Mars and Pluto. 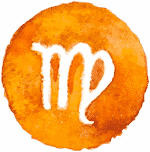 Under Mars’ influence, Scorpio is the behind-the-scenes tactician and Pluto’s influence, Scorpio has a tendency to be possessive, Pluto pulls things away. The Element associated with Scorpio is Water. Water Signs are emotional: they tend to respond to the world through emotion, rather than physical action, practicality, or intellect. Still water runs deep….. They may repress their emotions, but underneath they are intelligent and perceptive people. Born between November 22 and December 21 is the ninth sign of the zodiac, Sagittarius. A masculine, mutable, positive, Fire sign bearing the symbol, the Archer, a Centaur (half man/half animal). Centaurs were the great scholars and intellectuals of Greek and Roman myth, but they could also be hotheaded and aggressive. With Jupiter, planet of good fortune as their planetary ruler, they possess self-confidence and optimism. As the ninth Sign, it also rules the ninth House: the House of Philosophy. The great strength of the Sagittarian is in their philosophical and exploratory nature. Their greatest desire is to live life to the fullest. Their great love of knowledge and exploration makes them one of the most learned characters of the Zodiac. The Element associated with this sign is Fire. Fire Signs are physical: they tend to respond to the world through action, rather than practicality, intellect, or emotion. They want to experience life, rather than read about it, and they are outgoing and friendly. It is important to them that they live life to the fullest, experiencing everything they can. Their thirst for knowledge and exploration makes them one of the most learned characters of the Zodiac. Born between December 21 and January 19 is the tenth sign of the Zodiac, Capricorn. A Feminine, Cardinal, Negative, Earth sign. The planetary symbol is the sea goat. They start from the Sea and ascend to the highest mountain tops, working their way upward with every step. As the tenth Sign, Capricorn also rules the tenth House: the House of Social Status. Known as the “Task Masters of the Zodiac”, Capricorns possess unsurpassed drive to succeed. Their planetary ruler Saturn influences self-discipline, patience and responsibility. The Element associated with Capricorn is Earth. Earth Signs are practical: they tend to respond to the world through practicality, rather than physical action, intellect, or emotion. Capricorn is one of the most stable and serious of the zodiac signs. The great strength of the Capricorn-born is in their ability to set goals and keep working until they achieve them. Their ambition is limitless and with their goals in sight, they are not the type to easily give up. Their hard work makes them one of the most successful characters of the Zodiac. Born between January 20 and February 18, is the eleventh sign of the Zodiac, Aquarius. A Masculine, Fixed, Positive, Air sign bearing the symbol, the Water bearer. The 11th sign is also called the House of friends, hopes and dreams. The Astrological Symbol of Aquarius is the Water Bearer. Like the Bearer bringing water to his people, this Sign brings new ideas to the world. It represents outpouring of ideas. They can be opinionated, and they work hard to bring their ideas to fruition, stubbornly refusing to give up their causes due to the Fixed Quality assigned to their sign. The Element associated with Aquarius is Air. Air Signs are intellectual: they tend to respond to the world through intellect, rather than physical action, practicality, or emotion. Ruled by Uranus, the great awakener and the planet of invention and the enigmatic Saturn that is associated with the unique, eccentric and brilliant. Aquarians, as they are called, are often quirky and eccentric. They may have an unusual sense of humor, or have interests that others do not. Amiable and cheery by disposition, Aquarians possess an abundance of social charisma. Aquarius-born are known to be the visionaries. They are the people who take the world to the next level. They have the ability to influence people look at things differently. Their ability to break the rules and move beyond what others think is possible makes them one of the most innovative characters of the Zodiac. Born between February 19 and March 20 is the twelfth and last sign of the Zodiac, Pisces. A Feminine, Mutable, Negative, Water sign that is symbolized by two fishes swimming in opposite directions. This very well explains their basic trait of living in two worlds, one being the reality and the other one which is built up on various dreams and thoughts. Pisces are governed by a duality, a struggle of the spiritual soul within the physical body. Ruled by Neptune, planet of inspiration and imagination, Pisceans are one of the most creative signs of the Zodiac. Pisces are deeply creative and artistic, with enhanced intuitive abilities. The Element associated with Pisces is Water. Water Signs are emotional: they tend to respond to the world through emotion, rather than physical action, practicality, or intellect. In Pisces, Water becomes important because of its tie to the collective unconscious and intuition. Pisceans are compassionate, sensitive, and imaginative and they are highly sympathetic to the feelings of other people. Pisceans are known for their compassion. They reach out to other people more than most other Signs, and especially enjoy helping others reach their fullest potential. Their innate sensitivity turns them into one of the most understanding characters of the Zodiac.